A few weeks ago, I found the magical word in a newspaper. Guess what? The most striking word for me, consists of five letters: D-R-E-S-I. 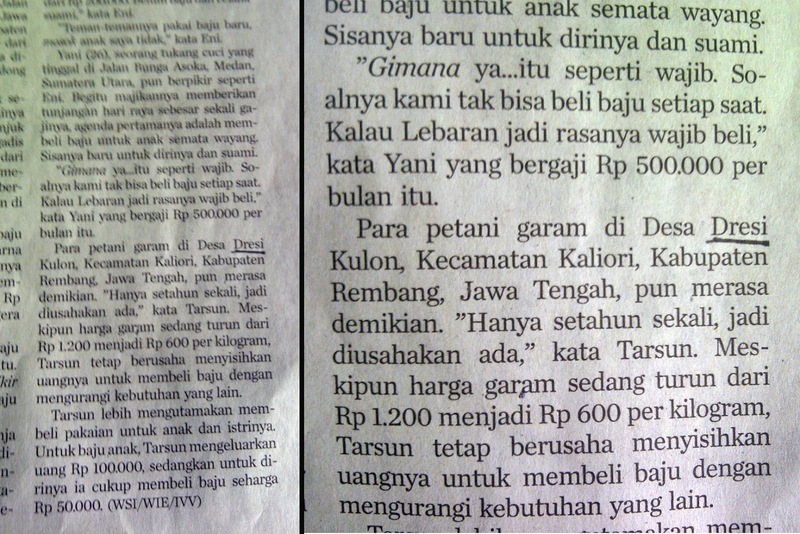 Source: Kompas Daily Newspaper: Sunday, August 28th 2011. Wow! I'm so excited. I never thought that there's a village in this country, which named the same with me. What a very rare coincidence! But wait! 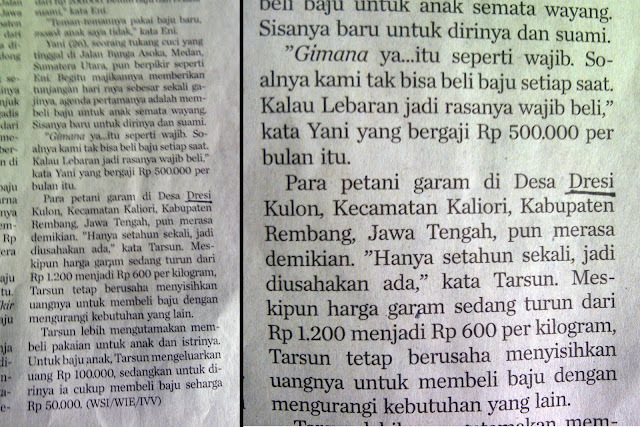 "Dresi Kulon ≠ Dresiani Mareti"
Hmmph, I think Dresi Kulon Village was inspired by my name. Ha ha ha, maybeeeee. No, never mind! 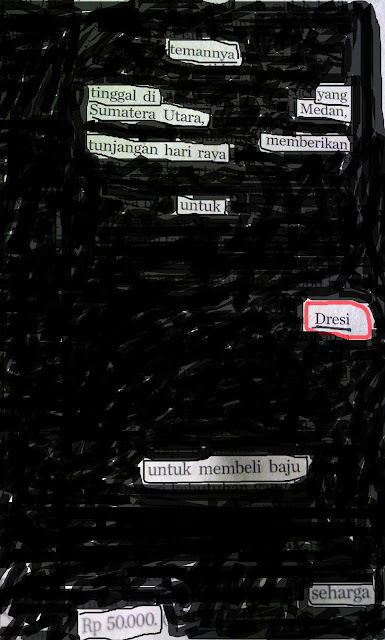 So, I just playing with the words. 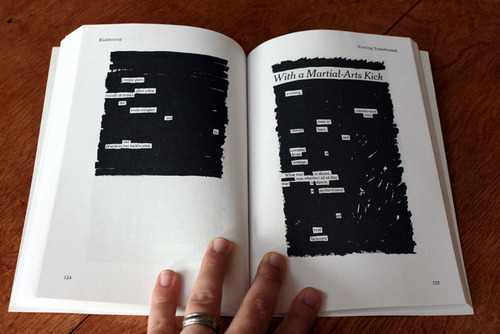 Eliminating and stringing a sentence. Temannya yang tinggal di Medan, Sumatera Utara, memberikan tunjangan hari raya untuk Dresi untuk membeli baju seharga RP 50.000. 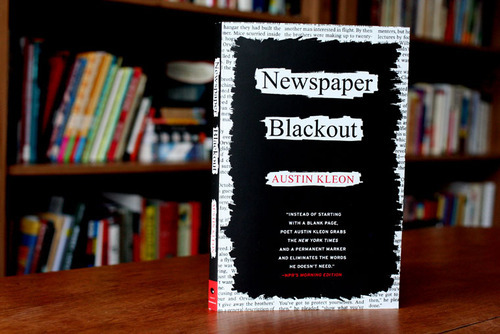 "Poet Austin Kleon grabs the New York Times, and a permanent marker, and eliminates the words he doesn't need." - NPR'S Morning Edition. What a nice book! Isn't it? #yoanda: hhaha. yes, what a coincidence!